The adidas Raven Boost is a 11oz (312gram) 10mm drop trail shoe that shines in trail comfort. 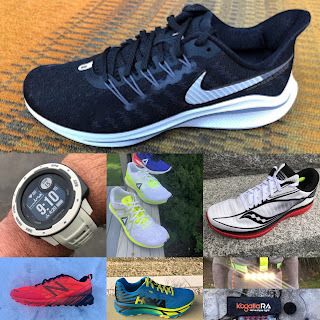 More "relaxed" in fit, outsole lugs, and ride than the more aggressive Terrex Boost (review here) I have found them to not only handle all trail types with aplomb but even roads as well, if the pace is slow and easy. adidas calls them a "go anywhere "Land Rover" and this is a good description but more Range Rover than Defender. They are plush, flexible and soft, the ride reminding me of Hokas such as the Rapa Nui but with considerably more forefoot flexibility and stability. A great shoe for long easier miles on rougher terrain and muddy conditions. The Raven Boost has a full Boost midsole with firmer EVA stabilizing in the forefoot. The EVA is a ring, if you will, around the outer perimeter. 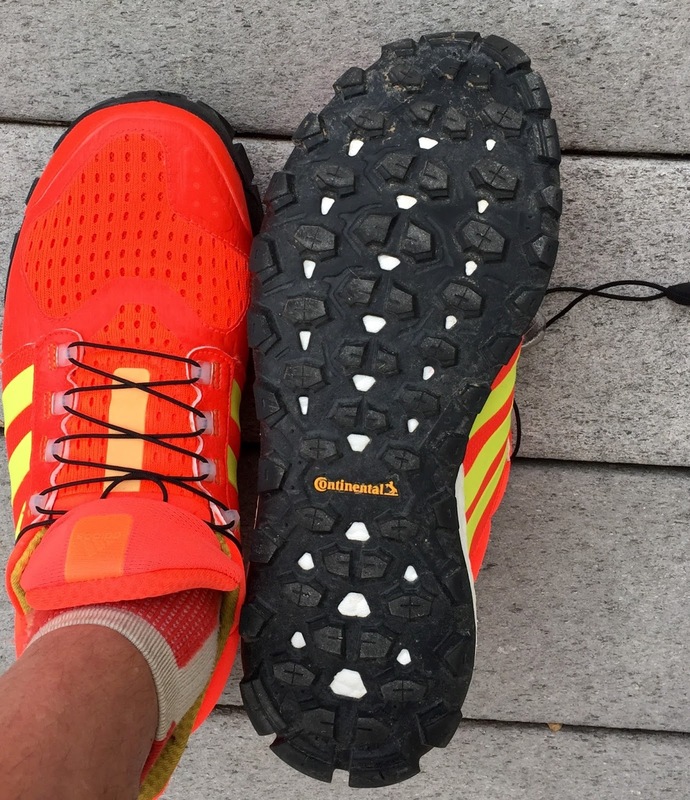 Boost is soft and bouncy and it needs stabilization especially in the forefoot in a trail shoe for uneven terrain. Boost is softer than what would want for forefoot rock protection but so far the rugged outsole has provided me more than adequate protection upfront. At the end of longer runs on very rocky, rooty terrain I have noticed a bit of forefoot ache which I attribute more to the forefoot flexilbity and or as adidas says the shoe "... reacts to changes in the ground to provide the ultimate feel and transition..." . Maybe a bit too much flexibility and soft feel for my old slow feet. Most of my trail shoes are considerably stiffer. Unlike the Terrex Boost or XT Boost there is no firm TPU stabilizing of the heel. The Raven flares the Boost midsole considerably at the heel and combines this with the firm total heel coverage adiwear rubber. This approach works very well on even rough terrain and provides a decent ride on the road as well, if a bit of a slow and ponderous one. Grip has been outstanding with the 5mm Continental Mud King rubber outsole lugs, a similar outsole to the mighty fine XT Boost racer (review here) yet the lugs are not overly harsh on the road. The midfoot is held with a solid substantial single panel of support on both sides which runs decreasing in height to the heel. The actual heel cup is firm and low somewhat reminding me of the Ultra Boost but without its rear split. The toe box is more rounded and roomier at the very front than the Terrex Boost with very soft mesh reinforced with quite pliable overlays that give with mesh. I am well held with no rolling sensation on off camber terrain but as I said above on rougher terrain my feet are working quite hard. The shoe is on the warmer side and water does not drain particularly well. The Raven Boost is a soft comfortable long run shoe suitable for all terrain. 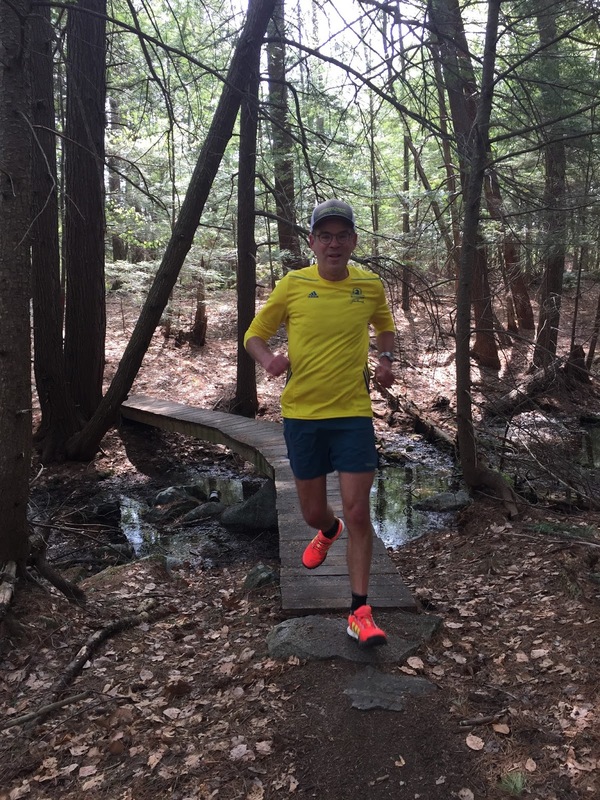 Not as light and agile as the XT Boost, Hoka Challenger or SpeedGoat it is highly flexible yet supportive, stable and provides a plush ride over rough terrain. Raven Boost launches later this summer for $140 MSRP. The Raven Boost was provided at no charge for review purposes. The opinions herein are entirely my own. The Raven Boost is available from Backcountry.com and REI at the links below. 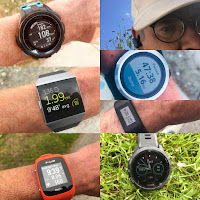 Any purchases at the links below support RoadTrailRun. Thanks! but as you confirm, not so much for very hard rocky terrain. Sizing seems to be something, people don't quite agree on with the Raven Boost Trail. Would you still say, you could choose true to size (i.e. samme size as in most other brands) as well as half a size up? Soren, I could go either way half up or true. With a heavier run sock fit well at half up. I switched to raven boost from Salomon xa (not really comparable but anyways)and I was really surprised about how much grip it offers on softer terrain.. It is sort of like speedcross but ot offers more grip over the rocks due to continental rubber. Shoe is really comfortable and wraps your foot really well. You certainly feel bigger rocks and roots through the outsole but it is not like it would hurt or anything..
About the sizing, i ve bought true to size and the shoe was really narrow on the top of midfoot at the beginning. Anyway one best trail shoes I tested yet. I finally switched from dynafit and found them supreme on any terrain. They give the best on downhill!! !